Hispanic Heritage Month comes as soon as September rolls into NYC with these nice crisp cooler days. 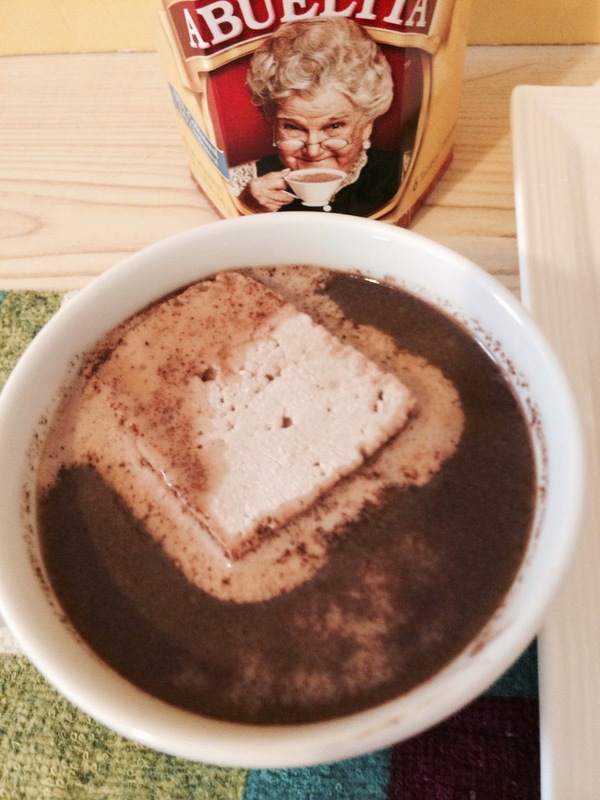 When I feel the cool weather all I can think about is my grandma's homemade hot chocolate. She would cook up a huge pot of hot cocoa and we would all sit in the front of our house with our sweaters and enjoy the weather while we sipped and talked about our day. We never grew up with the powdered hot chocolate that comes in little packets. 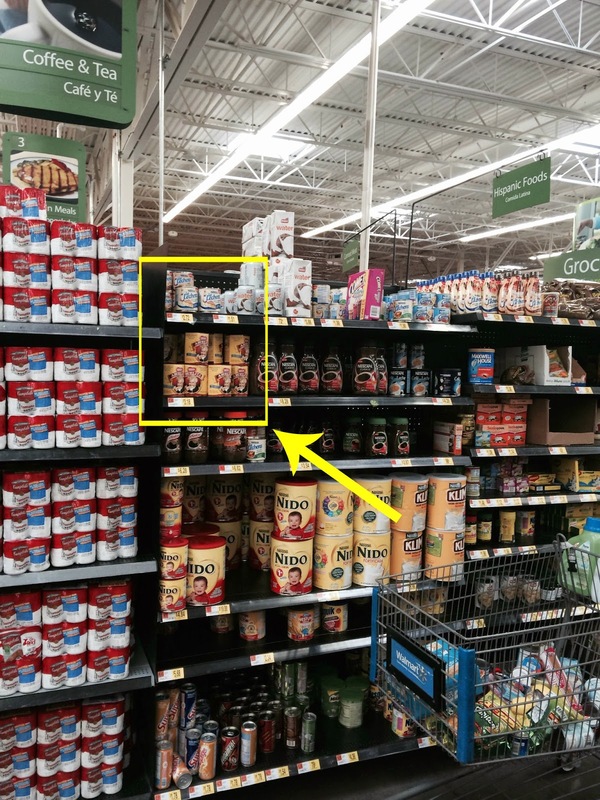 We always used the Nestle Abuelita Drink Tablets that I can always easily find in Walmart. You can easily just pop in a tablet with 4 cups of milk and swirl the pot on medium heat until the chocolate melts and then add some sugar. My grandmother would always make it extra special. First she would grate the tablets then heat up the milk. She would sprinkle in the fine chocolate shreds and we would watch the chocolate instantly melt. 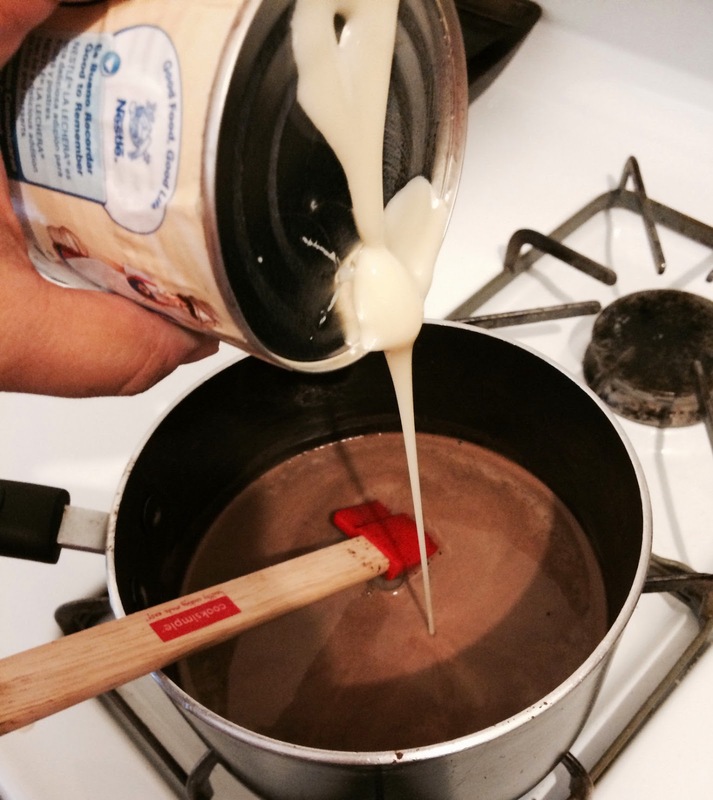 Then she would whip out the can opener to open up the can of La Lechera Sweetened Condensed Milk to sweeten up the hot chocolate. It doesn't get any better than that! Have you ever tried to add condensed milk in your coffee instead of regular sugar? Super sweet indulgence! Now that my grandmother is older and needs a wheelchair to get around she can't come over to my 2nd floor apartment or go up the steps to sit outside in the front of my house. I decided it was my time to let her sit back while I made her special hot chocolate. I have seen her do it about a hundred times so I decided to surprise her! I even made some homemade chocolate marshmallows to make it extra special for her. First I followed this super easy recipe from Diary of a Stay at Home Mom and let it cool for about 10 minutes. 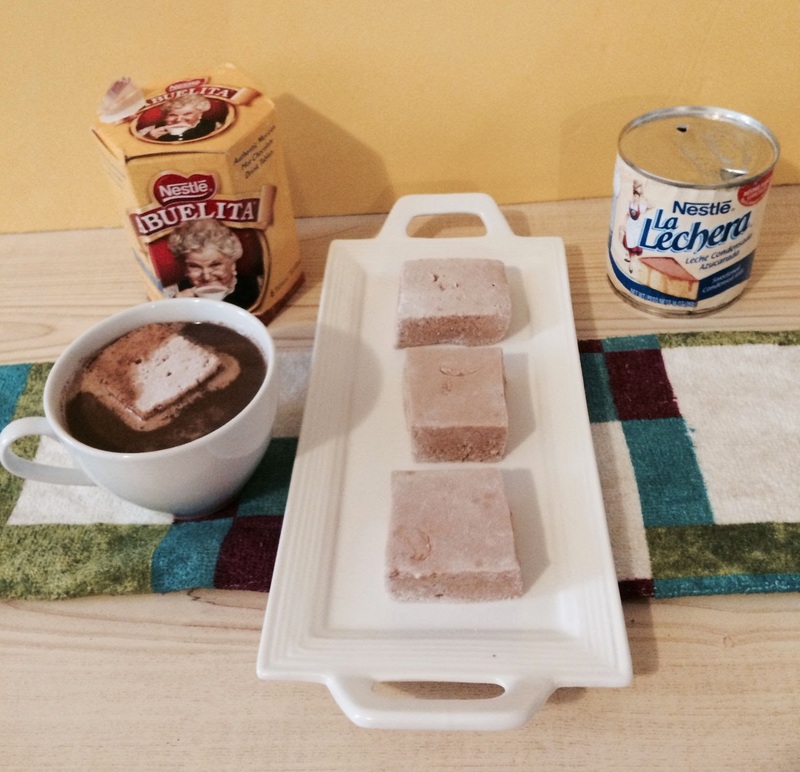 While the marshmallow mixture was cooling I grated 1/2 a tablet of the Nestle Abuelita Chocolate and mixed it in. I allowed the mixture to cool for another 10 minutes before I started whipping away. I poured the mixture into an 8" x 8" glass square pan and let cool and set in the refrigerator. After about 30 minutes it was all set and I cut them into squares then tossed each square into powdered sugar. 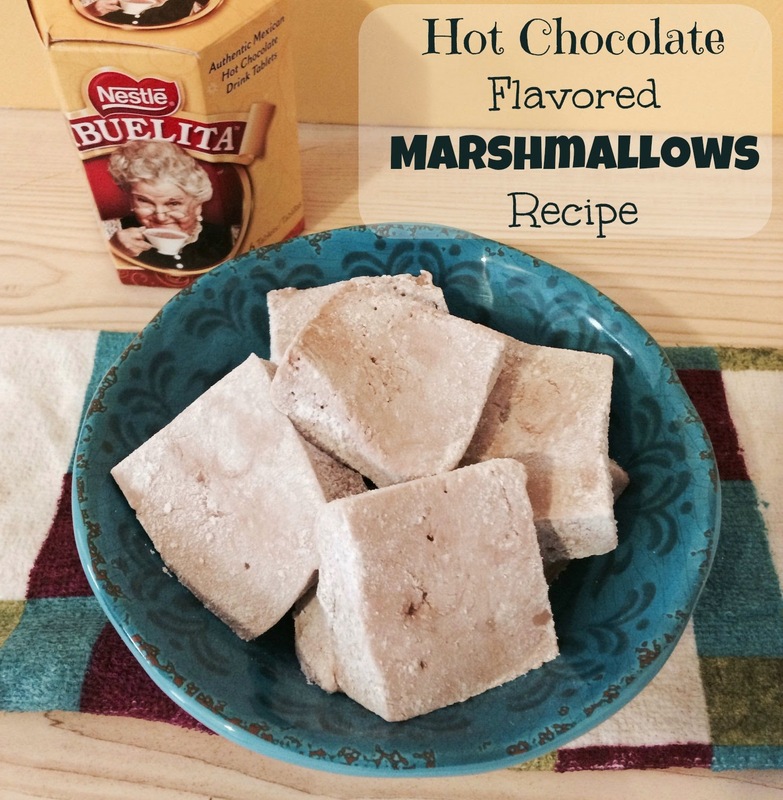 After letting the hot chocolate with #NuestroSabor cool a little bit I poured it into a mason and packaged some of the marshmallows to bring to my grandma. She was so excited that I remembered exactly how she made it and even told me mine tasted better than hers. She loved the chocolate marshmallows too. 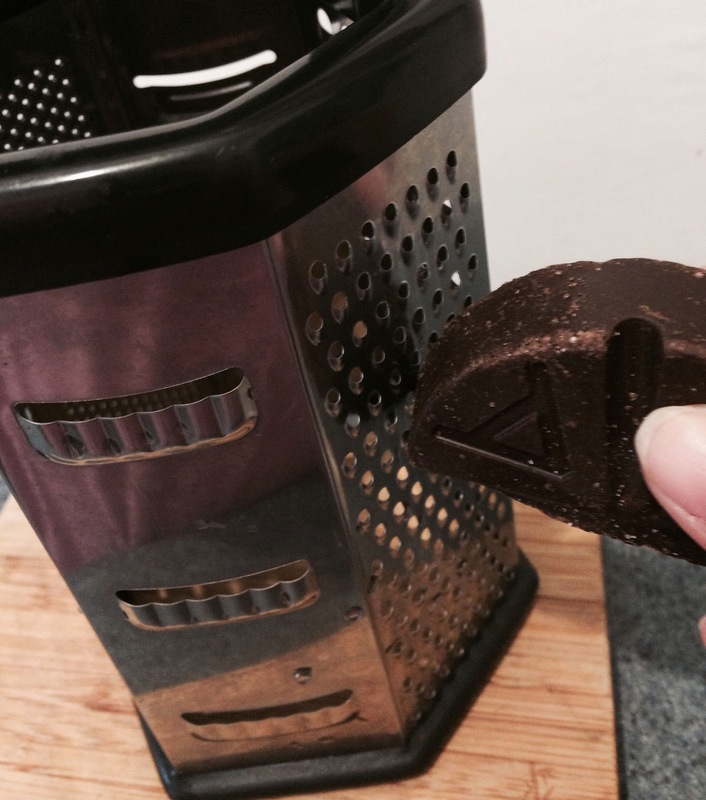 Take the tablet and grate on a cheese grater. 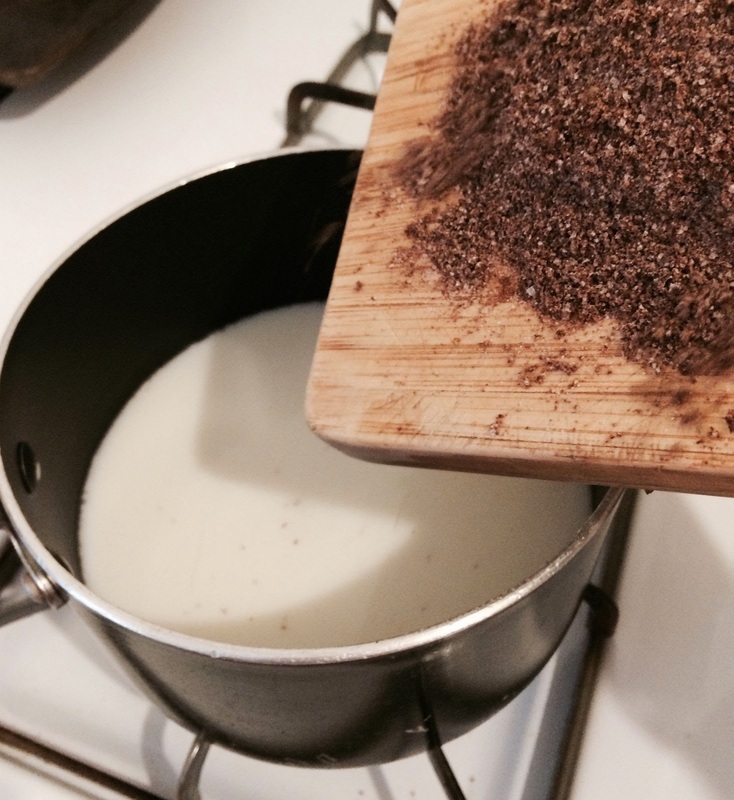 Heat up the milk until warm and sprinkle in the grated chocolate. Add the condensed milk and stir until the chocolate is completely melted and the condensed milk is thoroughly mixed in. Top with a chocolate marshmallow and enjoy! This looks awesome! 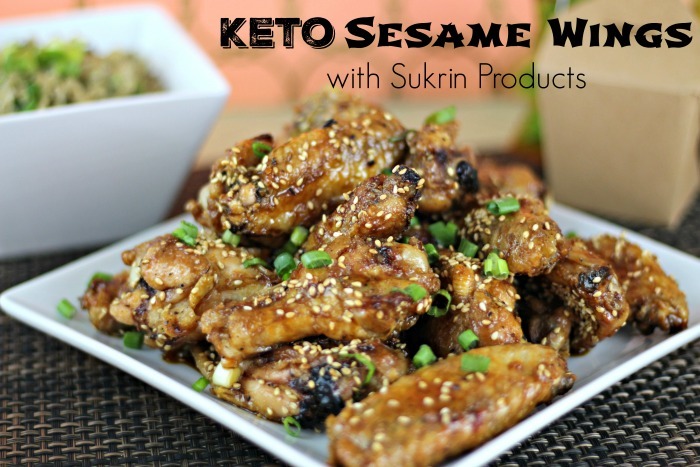 I'm so glad you shared this recipe! Yum! I love this! So sweet that you made this for your grandmother! Aren't they just the best! And those marshmallows look amazing too. I will have to try out that recipe! Now this is a treat! I've never had it when it's not from powder. This looks way better! Mmmmm, I love a nice toasty warm mug full of hot chocolate! I love Abuleleta-it has that cinnamon taste in a fantastic chocolate to bake with! What a sweet little treat! 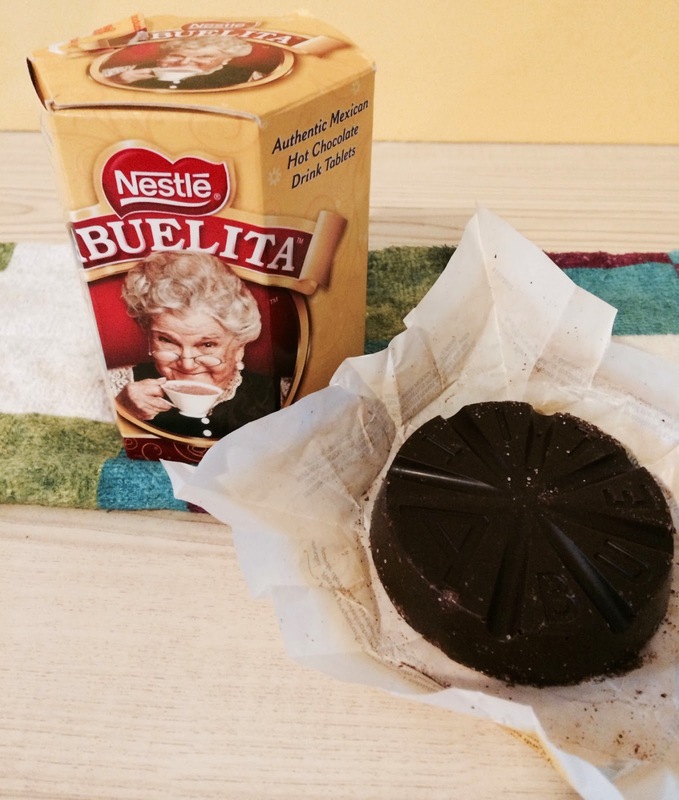 I had never heard of Abuelita before but it looks delicious. Oh my, doesn't that look fantastic. I could use that comfort drink right now. 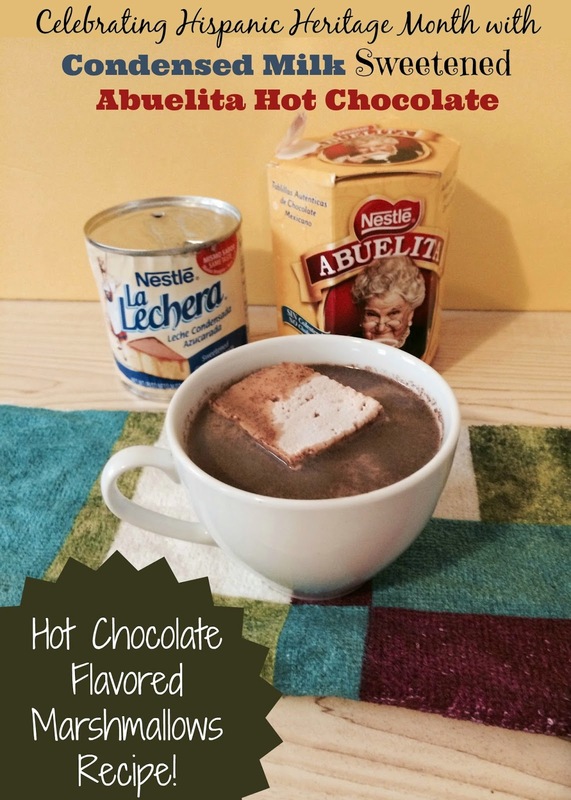 We love this hot chocolate! We used to drink it all the time when we lived in South Texas! Yummm, I could go for a cup of that! My MIL puts cheese in the bottom of the cup, weird but seriously delicious! I seriously need to stock up the stuff is so yummy thanks for sharing!! 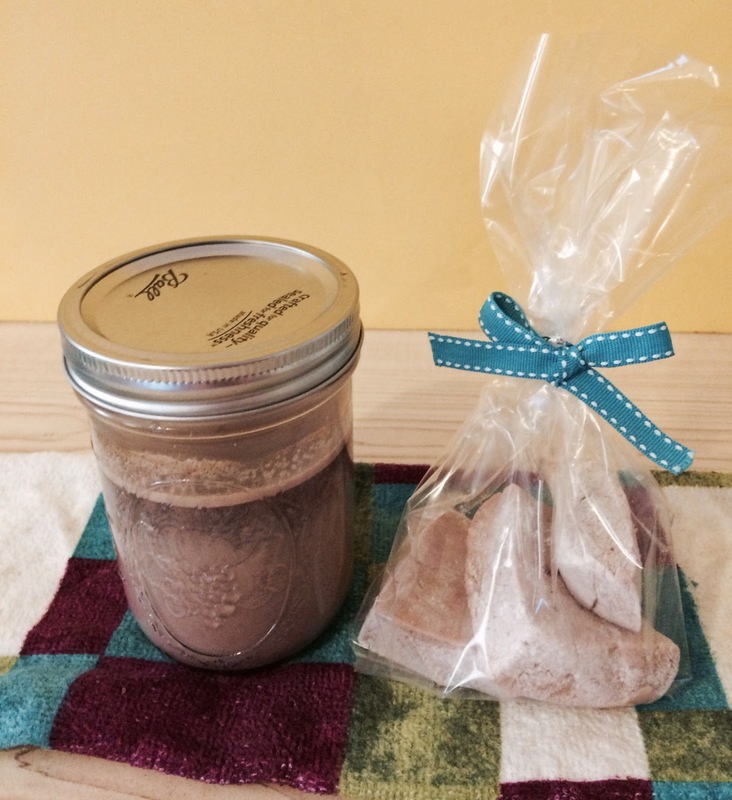 Your recipe for the hot chocolate calls for 2 cups of water. I do not see when the water is added. Should there be water or not in this recipe? It should be 4 cups of milk and no water. Thanks so much for catching that and letting me know. I have edited it in the post. 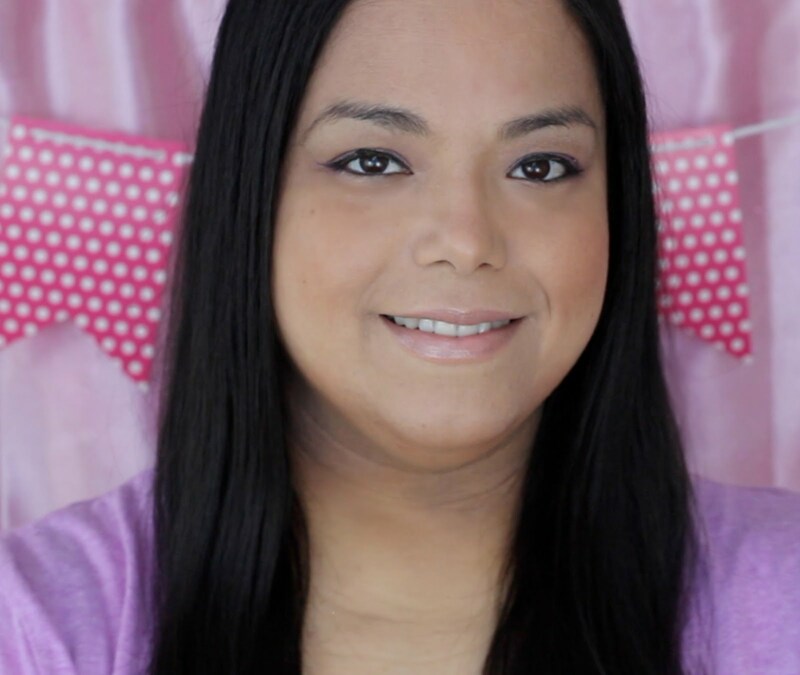 Bannerizer makes it easy for you to promote ClickBank products using banners, simply visit Bannerizer, and get the banner codes for your chosen ClickBank products or use the Universal ClickBank Banner Rotator Tool to promote all of the ClickBank products.